Moving flats, offices, houses and even single rooms is as simple task for us. We can send you 1, 2, 3 or as much movers as needed with a Luton van to move your items anywhere in the UK. We move anything from small items to complete house removal in London and Greater London and all surrounded areas and UK. We come on address A, load what is required, deliver everything to the address B and you pay for the hours we have spent. No hidden or extra fees will apply. Home removals are a tough task with lots of hassle involved if you do it yourself. Whether you need furniture removal service or full house removals, don’t try to do it yourself and break your back, let the professionals at London Cleaning House do it for you. We also offer full packing and unpacking services to suit your home moving needs. Besides home removals we do also offer office removals to serve businesses that are relocating. 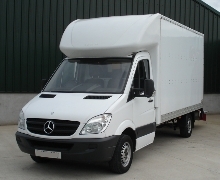 Our commercial removals experience varies from small private business to health, education and government organisations. Our removal prices are very competitive and we can beat any genuine written quote you may have from a different company. Call us now or submit a booking request to get a free quote online.